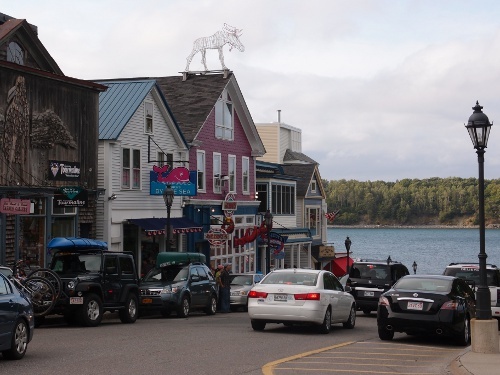 Maine is not one of the more obvious destinations in the US for the European traveller, even though the state slogan repeated on local car licence plates is simply “Vacationland”. However, I found myself there last month to visit a friend, and was startled at how much the area appealed to me. 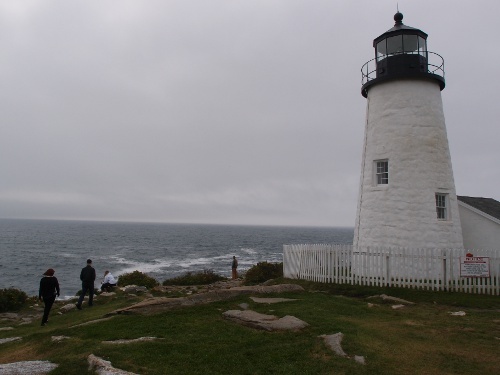 To most people who have any thoughts on the matter, the word Maine appears to conjure images of lighthouses, lobsters, and moose. The state feels to align itself into two camps along these lines, between the sea and the woods, or fishermen and hunters. The locals are stereotypically hardworking, stoic, and raised in close contact with nature. They have a consciousness that they’re stuck out on a limb at the very eastern edge of the country, and you suspect they probably wouldn’t want to have much more to do with everyone else anyway. Slightly aloof, they make a point of distinguishing between those born and raised in the state and everyone else, who will forever be described as From Away, and cannot hope to be considered a Mainer. While I found a definite grain of truth in this reputation, it seemed that if you are just open and show your own true colours, everyone will get along famously. 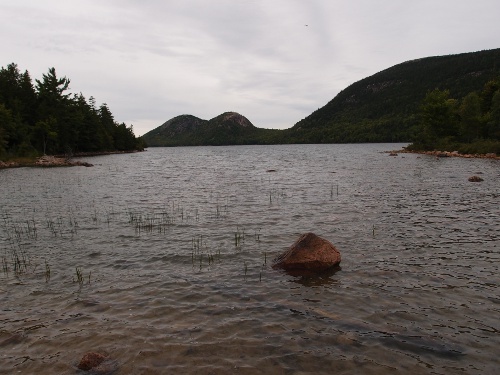 Our trip covered several states, but for the Maine leg we drove with our friends along the coast from Portland for four hours to Mount Desert Island, home of Acadia National Park (original home of the Cajuns) and Cadillac Mountain, before returning to Portland. Whilst a firmly touristic route and destination, we had just missed the Labor Day weekend, which is a landmark in the calendar as the end of the vacation season and all the American tourists disappear. 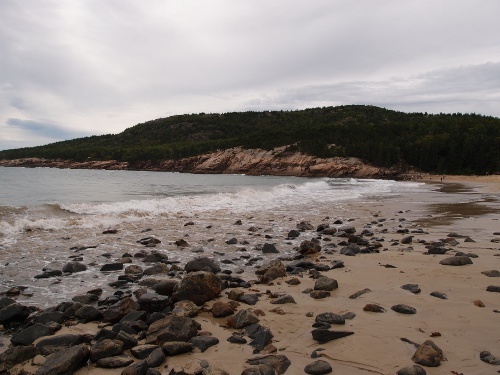 Whilst we could have opted to go off the beaten track and seen the woods – whole areas of Maine have no roads or even a name – the tourists travel along the coast because it is so beautiful and still widely unspoilt. The landscapes were unexpectedly majestic, and colours everywhere genuinely seemed more saturated than usual, even with an overcast sky. The scenery felt very different to the English coast, which often lies within a triangle bounded by charming, bleak and wholesome. 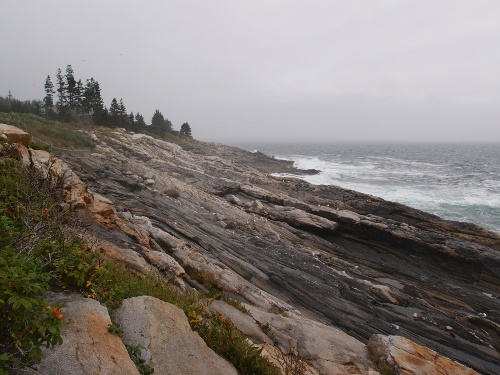 It was hard to avoid feeling that the land in Maine mirrored the locals’ emotional stereotype, with a straight-faced, muscular beauty. Not a landscape which would suffer fools, or offer any quaintness. 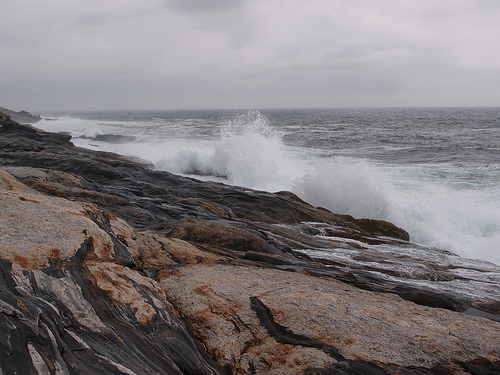 Arriving at Pemaquid Lighthouse, we were warned to take care if we wanted to go down the embankment towards the ocean, as “Mother Nature is strong today, you can feel the waves through the rock”. The area was beautiful, yet not to be trifled with. The rocks in question looked like pulled dough, long folds of near-black lava being bombarded by the sea, although this was peculiar to that location and they varied hugely as we travelled along the coast. 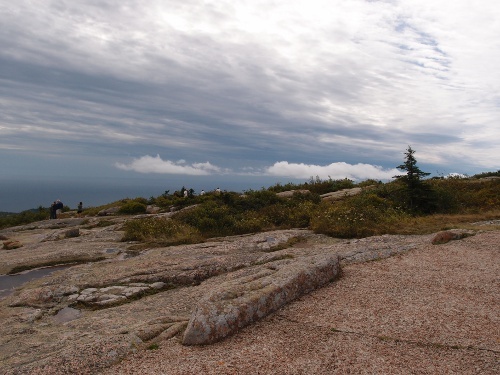 Mount Cadillac was a mass of beautiful pink granite, covered with contrasting pale green and dark grey lichen, while at the bottom of that mountain in the town of Bar Harbor we found cubist rocks, cracked at 45 degree angles. Portland itself was a charming town, with a strong artistic streak which felt perfectly integrated with the often industrial architecture. It is not, on the whole, a city which has been built to be beautiful, but that’s not to say that it is hard on the eye. A superb art museum, and good restaurants in the city centre made it an excellent base to spend a few days in. The International Cryptozoology Museum, complete with a “life”-sized statue of a bigfoot and cabinets full of mythical creatures, made another highlight, and reflected the city’s rejection of the mainstream – the city centre (as I saw it) had very few chain stores, instead having no shortage of boutique shops and galleries. Being at the extremity of the country perhaps makes Portland less logistically convenient for the national companies, so they’ve forged their path instead, and not worried about what the neighbours thought. 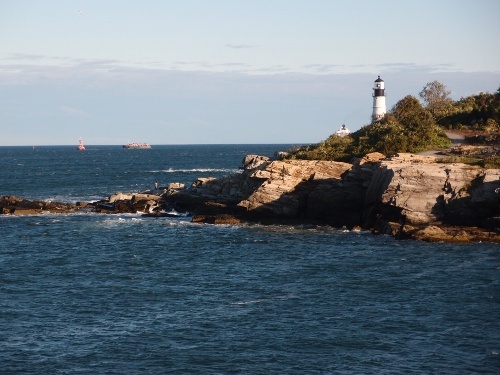 Just south of the city is Portland Head Light, an exceptionally handsome lighthouse and another spot where even looking at the sea, you’re drawn to look at the quietly imposing rocks against which the lighthouse wards. Separate to the landscape, our culinary expectations were surpassed throughout. During a previous trip along the Mississippi I found myself desperate for vegetables after a week, having tried to eat like a local, with a diet primarily of catfish and carbohydrates. In New England we found a strong focus on eating healthily and especially local produce. This means a lot of seafood, especially lobster which has been caught in a problematic abundance this year, causing it to be sold at under half the usual price. This has crippled the local economy as fishermen struggle to earn their money, but is undeniably good news for tourists like myself. And our expectations of pale and watery “lite” beers were smashed when we arrived and found a huge culture of drinking locally brewed Belgian-style beers and ales, which proved venomous on the first night before I realised the tasty pints were twice as strong as those I drink at home. I expected to enjoy the break in Maine purely for the good company of an old friend who I hadn’t seen in years. But I found the atmosphere throughout resonated with me, and coming from fashionable, frenzied, fickle London it was a pleasure to be somewhere so openly honest and self-confident. The landscapes was beautiful and strong-jawed, varied and always carried out on a grand scale, and it really felt like part of the world which seemed to have its priorities in order. I can’t wait to return. This entry was posted in Journey, Places on October 12, 2012 by Paul Scraton. Beautiful, alluring & informative – thank you! Nice blog post! 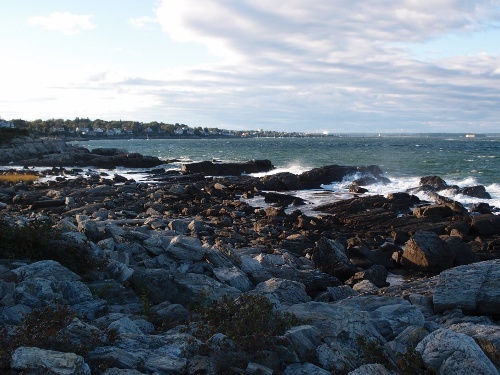 I am a Brit who relocated to Maine five years ago. I’ll always be ‘From away’ but I’m made very welcome here. I think you summed up Maine very well.